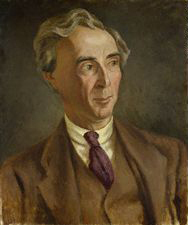 This is an online collection of over one hundred books and articles by Bertrand Russell. For a complete list of Russell’s books and articles see our online Russell bibliography. We also maintain a chronology of Russell’s life and an introduction to his analytic philosophy. These first essays, mostly book reviews, are Russell’s earliest professional writings. “Philosophy and Grammar” Review of A.J. Ayer, Language, Truth and Logic. The London Mercury 33 (Mar 1936), 541-3.
Review of A.J. Ayer, Language, Truth and Logic, 2nd ed. Horizon 15 (Jan 1947): 71-2. Russell on just war theory and an early expression of his moral subjectivism. Prevent the Crime of Silence (1971) Reports from the International War Crimes Tribunal. “The Bomb and Civilization” Forward 39, no. 43 (Aug 1945) A hypertext of Russell’s first anti-nuclear writing. “What Desires Are Politically Important?” (1950) Russell’s Nobel prize acceptance speech.